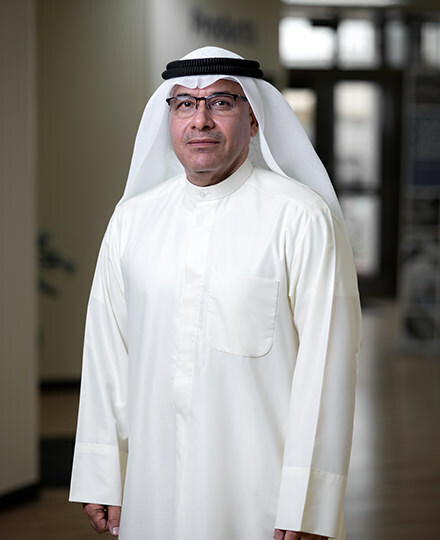 Jawad AlQallaf is the Deputy CEO – Finance & Investment Department at the Industrial Bank of Kuwait, State of Kuwait. He joined in 1983 from university. His previous positions were Manager of the Corporate Finance Department, Manager of the Follow-Up Department, Assistant Manager-Projects Department, and Investment Officer-Projects Division. Mr. Jawad is the Chairman of Kuwait Industrial Projects Company K.S.C. (closed) since April 2018, and is the Chairman of Senaey Enterprises Limited since 13th May 2015, was incorporated as a limited liability company, on November 20, 1984. The company is a wholly owned subsidiary of The Industrial Bank of Kuwait K.S.C (Closed), (“the Bank” or “the Parent Company”). Mr. Jawad previous Board representations include the Societe Nationale Industrielle et Miniere M.S.C. (Vice Chairman), a major Mauritanian Company involved in iron ore mining, and minerals and water exploration; the Industrial Building & Construction Company K.S.C. (closed) (Chairman); Kuwait Industrial Projects Company K.S.C. (closed) (Vice Chairman); Al-Rawdatain Water Bottling Company K.S.C. (closed); Kuwait Insulating Materials Company K.S.C. (closed); and Carpets Industry Company K.S.C. (closed) (Chairman). Jawad holds a BSc degree in Accounting from Kuwait University. He has 35 years’ professional experience.